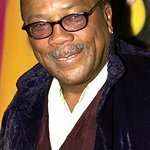 Music legend Quincy Jones has launched an online petition urging Barack Obama to appoint a Secretary of the Arts. The 75-year-old producer has said that the US and Germany are the only countries with no culture minister, which he regards as ridiculous. The petition – which already has 53,000 signitures – can be signed here.